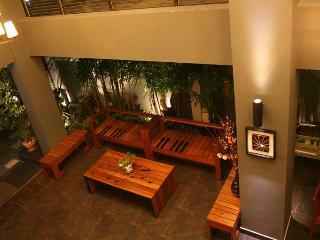 The Residence Hotel is situated in the heart of Bangkok's business district. Tourist attractions are also just a few minutes away by foot. Don Mueang and Suvarnabhumi airports are 30 and 40 kms away respectively.The hotel offers 74 air-conditioned, ensuite bedrooms, each decorated in a modern style and provide TV, Internet & safe. 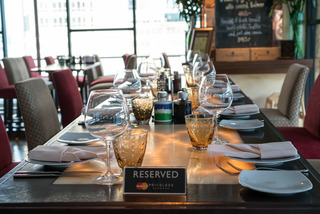 Facilities include 24-hour reception, a limousine counter and a rooftop restaurant. Guests can relax by the outdoor swimming pool, located on the roof of the building, or get active at the well-equipped gym. Later, dine at the restaurant offering excellent cuisine.For a truly unforgettable and luxurious experience, stay at the Residence Hotel. This city hotel is located between Silom and Sathorn Road, in Bangkok's most vibrant commercial business district and shopping area. 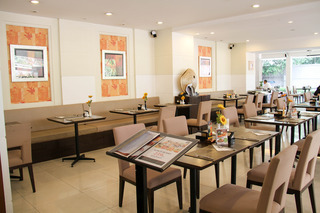 A one-minute walk from Chong Nonsi BTS Skytrain Station, the hotel offers rooms with free internet. It also features an outdoor rooftop pool and pampering spa services. Decorated with cheerful and bright colours, the modern rooms present scenic views of Bangrak District. Each comes with a flat-screen cable TV, minibar and rain showers. Senses Spa features relaxing Thai massage, while the well-equipped fitness centre provides a good workout. The hotel also provides an internet corner and a helpful tour desk. 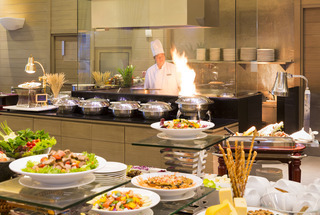 The restaurant serves a daily breakfast buffet, as well as international dishes throughout the day. 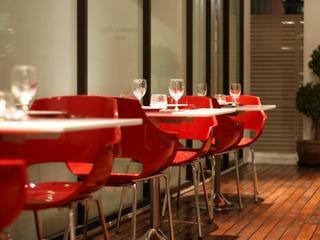 Other dining options include the Coffee Lounge and Pool Bar. Situated a short walk from Chong Nonsi BTS Skytrain Station in the heart of Bangkok's Silom district, Haven't Met features free WiFi access and free private parking. Guests can enjoy the on-site restaurant and reach the surrounding vibrant atmosphere of Bangkok within a short walk.Rooms at Haven't Met come with a dedicated tablet loaded with Haven't Met Hotel App and connected with the 4G network for web surfing. A flat-screen TV with cable channels, a complimentary drinking water and coffee and tea making facilities can be found in the room. Each room is equipped with a private bathroom fitted with a shower. For your comfort, you will find free toiletries and a hairdryer. A 24-hour front desk is available at the property. The new Holiday Inn Express Bangkok Sathorn hotel located within proximity to major commercial companies, embassies and some of the city's most exciting retails and tourist attractions including Lumpini Park, Chinatown, Siam and Chatuchak weekend market. Guests can enjoy exploring Bangkok by BTS skytrain. The hotel features 184 brand new rooms that are well-designed for everything you need for a great stay. Start the day with our Free Express Start Breakfast or Grab & Go Breakfast option. While in the hotel stay connected with our Free Wi-Fi access throughout the hotel. After a long day of meeting or shopping, refresh with an invigorating power shower in our bathroom, experience quality bedding and have a restful night with a choice of soft and firm pillows. Our wide ranges of facility includes 24 hrs internet stations, fitness room, pay & go counter, self-service laundry room and meeting room. This hotel is in the centre of Bangkok's commercial district, with a wide range of shops, restaurants, bars and nightlife at the doorstep. Public transportation links are nearby, as are the major banks and embassies. The hotel is air-conditioned and has a lobby, 24-hour reception, a hotel safe, lift access, a café, kiosk, mini-supermarket, hairdressers' salon, TV room, restaurant, Internet access, as well as room and laundry services. Parking facilities are also available. A stylishly designed modern hotel located right in the heart of Silom, Bangkok business district area where the surroundings are vibrant from day till late into the night. Conveniently located just a short 1-minute walk to Silom walking street night market, Silom MRT and Sala Daeng BTS Interchange. From the underground or sky trains, it brings connectivity to all parts of Bangkok's many shopping complexes such as Siam Paragon, Central World and to numerous attractions and landmarks of this bustling city. Whether you are on business or leisure, our hotel is ideally situated to meet the needs of individuals or traveling with family and friends. 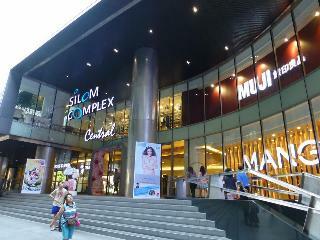 FuramaXclusive Sathorn Bangkok is located in the middle of the commercial district, near Sathorn Road, Bangkok. 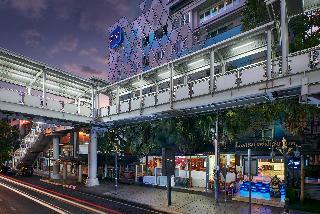 Chong Nonsi sky train station is just a few minutes walk from the hotel. Don Mueang and Suvarnabhumi airports are 30 and 45 km away respectively. This hotel is conveniently located in the heart of Bangkok's business district and is filled with Thai tradition and customs, blended perfectly with modern amenities. 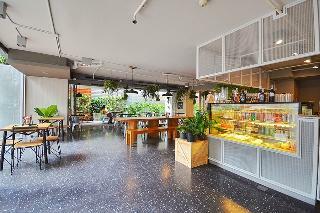 The hotel is a good choice both for business and leisure travellers. The rooms feature earth-toned decor, complemented by occasional dark teakwood furniture and eye-pleasing lighting. The hotel features a hot tub, gym and sauna. 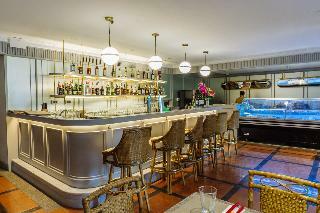 The restaurant serves an American breakfast buffet, a lunch buffet, and dinner as a set menu or à la carte. FuramaXclusive Sathorn Bangkok combines the perfect blend of comfort and hospitality for both business and leisure travellers alike. Ascott Sathorn Bangkok is an upscale city hotel located on South Sathorn Road in the heart of Bangkok's business and financial district. Close by guests will find numerous multinational corporations and embassies. The popular Silom Street shopping district with its exciting nightlife and superb dining options is just a short taxi ride away. This prime location makes it the ideal choice for business or leisure travellers visiting the city.This spectacular landmark hotel will capture guests' attention from the moment they walk through the door into the elegantly designed lobby. The guest rooms feature cool, soft, refreshing tones making them a veritable haven of relaxation away from the bustling city that lies outside. The hotel's exemplary amenities and facilities including the exclusive Cascade Club which features a state-of-the-art gym, swimming pool and Spa treatments. When visiting Bangkok, you'll feel right at home at Silom Forest Exclusive Residence, which offers quality accommodation and great service. With its location just 2.0 Km from the city center and 40km from the airport, this 3-star hotel attracts numerous travelers each year. With the city's main attractions such as Embassy of Belgium, Wat Kuhasawan, Ruen-Nuad Massage & Yoga within close reach, visitors to the hotel will just love its location. 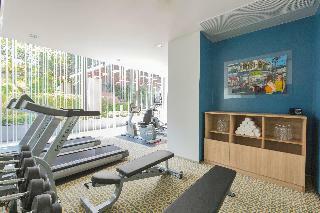 Silom Forest Exclusive Residence very close to BNH hospital, just only 7 minutes walking distance. Easy to public transportation which just only 5 minute walking distance to BTS Skytrain CHONG NONSRI station (station code: S3), go to exit No.2.Silom Forest Exclusive Residence also offers many facilities to enrich your stay in Bangkok. The hotel provides free Wi-Fi in all rooms, Wi-Fi in public areas, exercise room, laundry service to ensure our guests the greatest comfort.